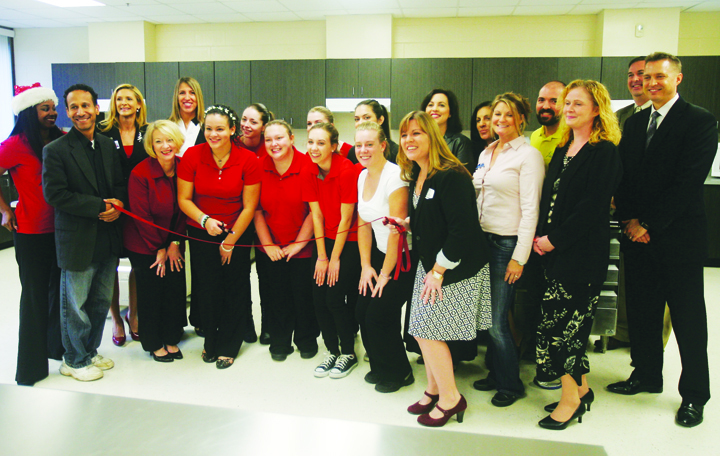 Given a chance to impress a small group of school officials and business representatives, Bloomingdale High School and members of its newly launched culinary arts class received some much-deserved recognition last month during the official opening of the school’s first ever culinary arts program. Joined by faculty as well as Hillsborough County Public Schools representatives including recently elected District 4 School Board member Melissa Snively, the event featured a ribbon cutting ceremony hosted by the Valrico/Fishhawk Chamber of Commerce. 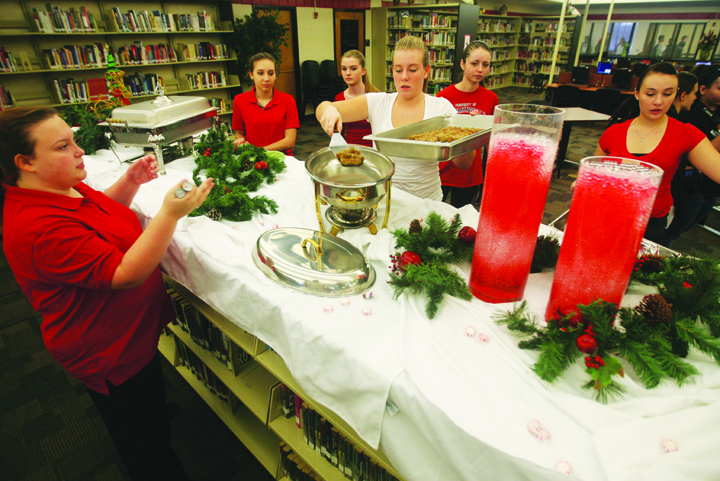 Of course the ceremony’s main focus was the celebration of the opening of the school’s first culinary arts program as it takes its rightful place among the more than a dozen high schools throughout the county that have made the program a success. Under the name “Stampede Café” the students will learn about the various aspects of the food industry taught by former Durant High School culinary arts teacher Peggy Voss, who brings more than three decades of teaching experience to the school including 15 years of teaching the arts. The culinary arts program is based out of Hillsborough County Public Schools Career and Technical programs and prepares students for a list of employment opportunities in the food service and hospitality industry including the operating a restaurant or catering business. Students in the program earn industry certification with the National ProStart Certificate of Achievement and as a Certified Professional Food Manager from ServSafe. In its current first year, under the expertise and direction of Voss, the program is boasting 128 students in five classes, with which Bloomingdale High School Principal Sue Burkett was quite pleased. The event closed with students proudly serving up a breakfast selection of their fruit of labor. For more information about Bloomingdale High School, visit www.bloomingdale.mysdhc.org.